Is there a better alternative to Gag? Is Gag really the best app in System category? Will Gag work good on macOS 10.13.4? 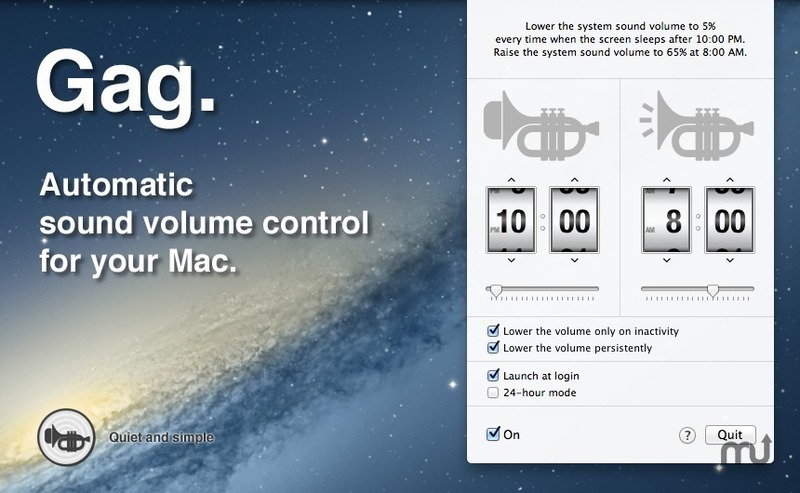 Gag gives you automatic sound volume control. Quiet at night. Never again will a sudden loud sound of incoming IM message wake you up in the middle of the night. Fully automatic. No need for daily maintenance. Set it once and forget it - Gag will do its job in background. Quietly. Menu Bar App. For all Menu Bar application fans - a marvellous trumpet icon. Gag needs a rating. Be the first to rate this app and get the discussion started!